Last year we launched a new series of guitars - the Edition Series. We did this in order to help particular guitar models and model specifications to gain more visibility in the stores and in the web. These guitars contain both, customer's ideas as well as ideas that we always wanted to implement in certain models for style reasons. Thus, we had eight beautiful guitars that made our life in 2018 much richer in many aspects. For this year now we were sure to continue the Edition Series in the future and establish it as a steady series. For the same reasons we created 9 new guitar models to be the protagonists for the Edition Series 2019. Due to their individual properties they, of course, have obtained different applicabilities. This makes every guitar particularly exciting. Brand new is our little Concert model shape, a new smaller body shape that orientates in the direction of a Parlour guitar. 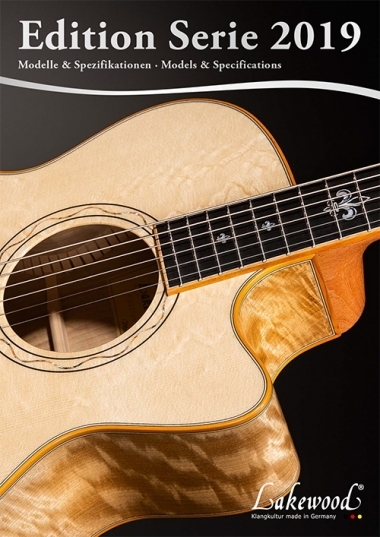 Furthermore, we have two guitar models in the new Edition Series that have been crafted from European indigenous timbers. That's an alternative we have basically been offering for many years. Now we would like to give it another push to make this option more visible. In our download area you can open and save the entire brochure of the Edition Series 2019 as a PDF.